This website gives you information about how to contact us to get advice and how you can help us. Just click here. 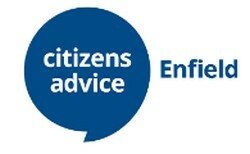 Citizens Advice Enfield understands that there have been reports of individuals posing as Citizens Advice Advisers contacting residents with the offer of help with debts etc. Please note that Citizens Advice Enfield will never telephone individuals to discuss any personal matters without you having first attended an assessment or interview.